Ready Set Rocket is an NYC-based digital agency committed to connecting brands and consumers through innovative multi-channel experiences. In our 7th year of business, we redesigned our site to better represent our culture, portfolio and design capabilities. The new site relies heavily on white space, bold type and big photography. 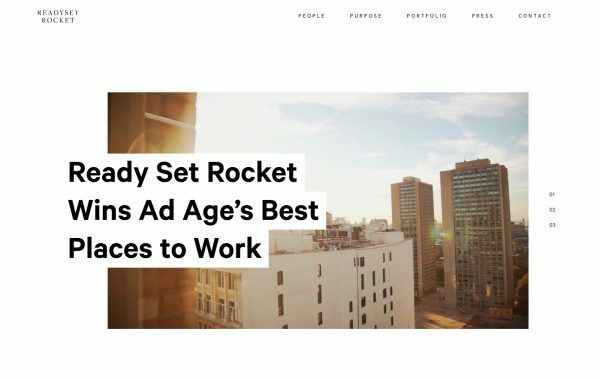 We were inspired by the recent spike of websites based on editorial design and wanted to deviate from industry norms for what an agency site should look like.